Menlo Park, Calif., February 15, 2018 - This past year people came to Facebook around some of the worst crises across the world to let their friends and family know they're safe, learn and share more about what's happening and help communities recover. In particular, many used Community Help to ask for and give help in times of crisis — everything from providing shelter, to rescuing people from flood waters and gathering and distributing clothing, food and water. 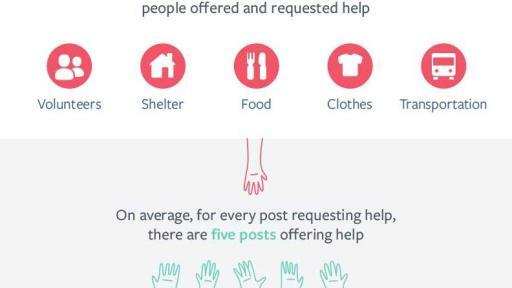 Since launching it a year ago, people have posted over 750,000 comments and messages in Community Help for more than 500 different crises. Some of the crises where people used Community Help the most in 2017 include the flooding in Brazil (May), Hurricane Harvey in the US (August), the attack in Barcelona (August), the flooding in Mumbai (August) and the earthquake in Central Mexico (September). But people helping people is only part of the solution. Organizations and businesses also play an integral role in responding to crises and helping communities rebuild. 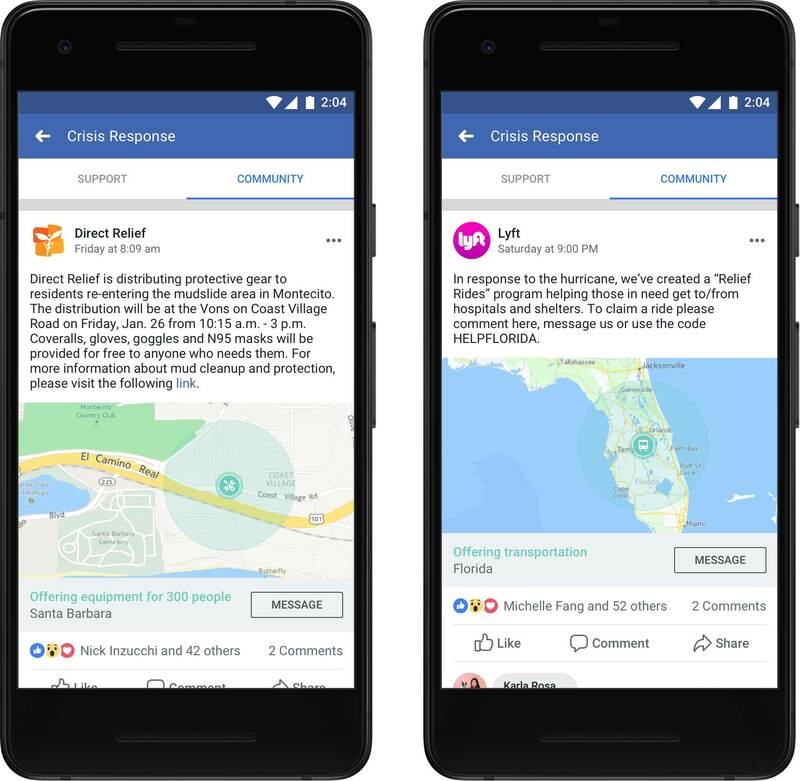 Starting today, organizations and businesses can post in Community Help, so that they can provide critical information and services for people to get the help they need in a crisis. 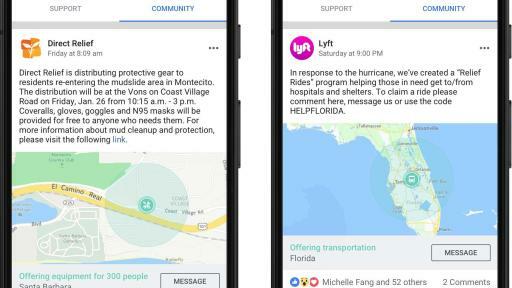 Facebook's priority is to build tools that help keep people safe and, when crisis does strike, make it easier for them to get the help they need to recover and rebuild.